While all motor vehicle accidents can result in injuries to other drivers and passengers on the roadways throughout New Jersey, truck accidents cause particularly catastrophic injuries, including serious head and spinal damage that leads to lifelong paralysis and wrongful death. If you or a loved one has been hurt in a crash involving any type of truck — whether a semi, an 18-wheeler, a tractor-trailer, etc. — you likely have many questions about what to do to get the justice you deserve. We can help. 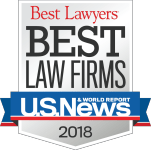 At The Law Offices of Andres & Berger, P.C., we are dedicated to fighting trucking companies and their insurance carriers on behalf of injured clients. We will get to the bottom of what caused your accident and work hard to hold each and every entity responsible for their negligence. Q: I was injured in an NJ truck accident. What should I do? First things first, seek medical attention immediately and follow up as directed. It’s important to contact a personal injury lawyer at The Law Offices of Andres & Berger, P.C. to pursue compensation to cover medical bills, lost wages and more. However, your health comes first. Q: There are so many personal injury law firms in South Jersey. 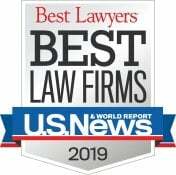 Why choose The Law Offices of Andres & Berger, P.C. 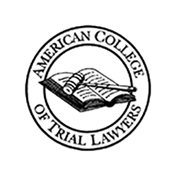 to represent me in my truck accident case? Not all law firms are the same. Personal injury law firms talk about fighting for their clients, but at The Law Offices of Andres & Berger, P.C. 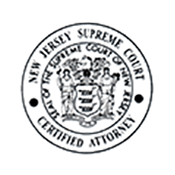 we pride ourselves in having the reputation for doing what it takes to protect clients is well known throughout New Jersey. We don’t accept low-ball settlement insurance offers just to avoid taking a case to court. Insurance companies know this and negotiate in good faith accordingly. Additionally, our success record is outstanding. We have collected millions of dollars for our clients after they’ve been injured in accidents caused by other people’s negligence. We offer free consultations, during which we will answer your questions and explain your options for pursuing justice. And you won’t pay any legal fees unless we recover damages for you. No upfront costs. No out-of-pocket legal fees. No reason not to call for your free consultation. Q: I don’t have any money! 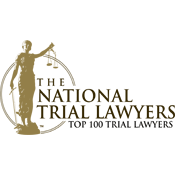 How can I afford a lawyer to take on my truck accident case? At The Law Offices of Andres & Berger, P.C., we want you to rest easy knowing that your job is to recover from your injuries. Our job is to recover financial damages in your personal injury lawsuit. We accept payment on a contingency basis. This means you have no out-of-pocket legal costs. We get paid as a percentage of whatever damages we collect for you. If we do not collect any compensation at settlement or in a trial, you won’t pay us a dime. We get paid when you get paid. Period. Q: Is there a statute of limitations on filing a case after a truck accident in New Jersey? Q: What are the most common causes of truck accidents in NJ? Distracted drivers, including those who text, talk on the phone, eat, etc. Q: I know I wasn’t at fault in the truck accident! How can I prove it? At The Law Offices of Andres & Berger, P.C., we pride ourselves in having particular expertise in the area of getting to the bottom of what caused your truck accident and proving fault and liability. We will work with a full range of experts, including accident reconstructionists, to make sure the proper entities are held responsible for the negligence that caused your injuries. We will also review vehicle maintenance records and driver logbooks. You can count on the attorneys at The Law Offices of Andres & Berger, P.C. to make sure that whomever and whatever contributed to your truck accident will be held liable. If you have lost a loved one in any motor vehicle accident, we are so very sorry for your loss. 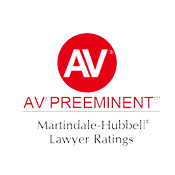 We invite you to contact us for a free consultation about the accident so we may determine if you can pursue a viable wrongful death lawsuit. A lawsuit won’t turn back the hands of time and undo the negligence that caused the accident, but compensation collected on your behalf will pay for funeral and medical expenses. When you or a loved one has been injured in a truck crash, it’s imperative that you contact an experienced and skilled personal injury lawyer who knows state and federal trucking laws. 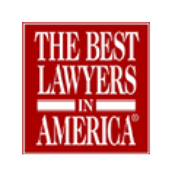 At The Law Offices of Andres & Berger, P.C., you can rely on our team of legal professionals to work tirelessly to get you the maximum compensation you need and justice you want and deserve. There are no upfront legal fees and we work on contingency. This means that if we don’t collect damages for your family, you won’t pay us anything at all. Contact our nearby Cherry Hill NJ law office today and get all your questions answered by a compassionate, successful truck accident lawyer who will be on your side.